As President, Sabine’s responsibilities at KTP include business development, strategy, marketing and client relations. Prior to joining KTP, Sabine was a senior media executive in New York City where she spent almost two decades running some of the world’s most iconic and influential magazine brands including Teen Vogue, Shape and Glamour. More recently, she moved to the thought leadership space as Executive Vice President of Sales for The Guardian; she also held senior leadership positions at Skimlinks and Tinybeans, two innovative tech start-ups headquartered in London and Sydney, respectively. 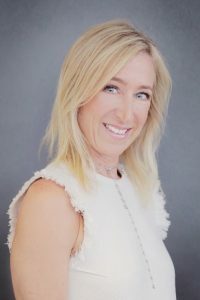 Named to Folio’s list of “Innovators and Influencers,” she has been consistently recognized by industry experts as a pioneer in making brands and bottom lines stronger. Sabine has always been passionate about creating innovative, first-to-market programs that deliver measurable ROI to her clients. She is now excited to take this passion to the employee health benefits arena. Having owned responsibility for multiple P&Ls, Sabine is acutely aware of the pressure to manage costs as efficiently as possible. KTP’s focus and expertise helps its clients do just that, while still delivering the promises made to their stakeholders including shareholders, employees and retirees. Sabine earned a B.S. in Marketing and International Business from the Stern School of Business and an MBA in Marketing and Strategic Management from the Wharton School of Business. She is a member of The Young Presidents’ Organization (YPO) and Cosmetic Executive Women (CEW).